Maybe you wanted to forget. In which case, sorry to remind you. Although I don't know how successful you were going to be at ignoring this holiday. It pours out of every dollar store, drug store, and restaurant. Not literal, physical hearts though. So that's good. Otherwise, things would be messy. Although a good science lesson for kids. And adults who didn't pay very close attention in science class. Last year I made some Valentines. Some of them were cheeky and some were sincere. Because that's how art works. A few years before that I made other Valentines. Listen, this holiday isn't going anywhere. Who cares why it was invented. 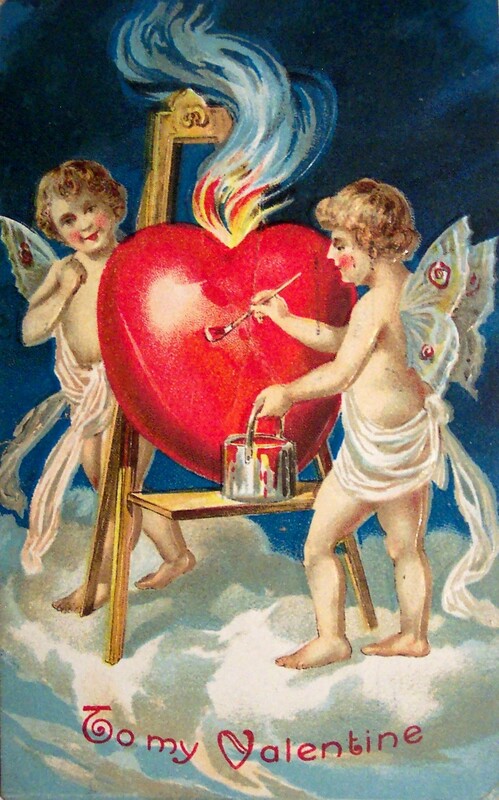 All that matters is that St. Valentine was martyred and this day commemorates him. So maybe we should start throwing our physical hearts around? It would help with global overpopulation. And we would feel so much, we would really know we were alive.